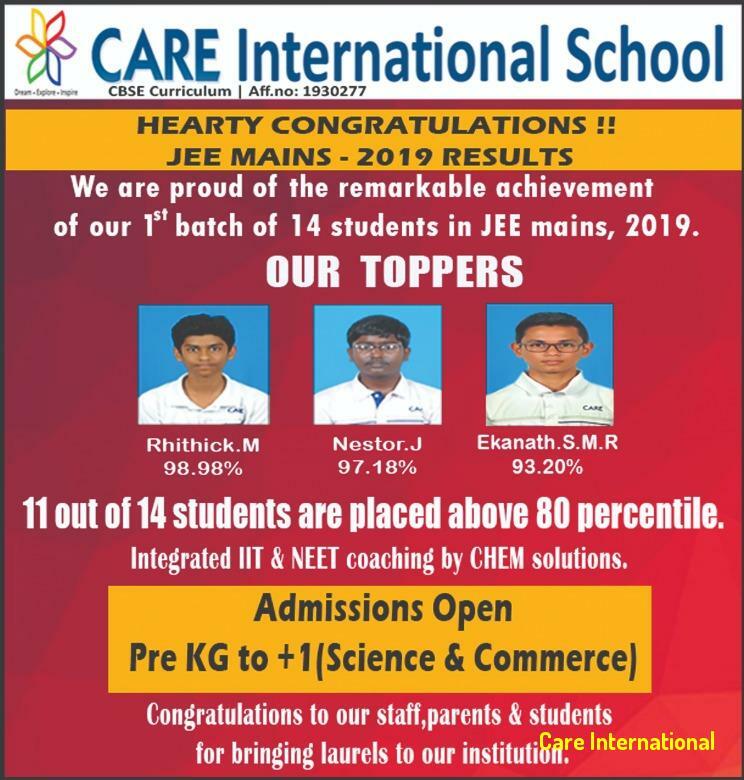 Our first batch of students have done exceedingly well in JEE mains ,2019 examinations. We are immensely happy and proud of the achievement. 80 % of the class are placed above 80 percentile!!! 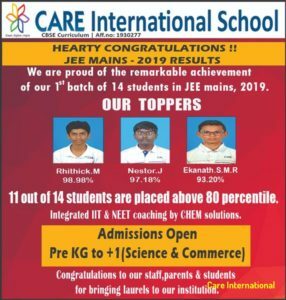 The top 3 scores is 98.98, 97.18 and 93.20 percentile scored by Master M. Rithick, Master J. Nestor and Eknath respectively.